There are many factors to consider when deciding to add a dog to your home. One question you might find yourself asking is: Would a purebred or mixed-breed dog be a better fit for my family? While it may seem like a fairly simple question, many considerations go into reaching the right answer. Some people believe adopting a dog is the most responsible route to take, a practice that typically results in bringing home a mixed-breed dog. Many people believe these mixed breeds come with the added benefit of being prone to fewer health issues. Others favor purebred dogs for their predictability, appearance, or trainability. According to veterinarian Dr. Danell Creasey, many of the differences people note between mixed-breed and purebred dogs result more from the dogs’ owners and background than from the dogs’ genetics. These differences can include overall health, predictability, community, legacy, behavior and sociability, and trainability. The idea that purebred dogs suffer more health problems than mixed breeds has been widely popularized. In, 2013 a study at UC Davis found that on a list of 24 genetic disorders, purebreds did indeed experience a higher incidence of 10 of the diseases, or 42%, while mixed breeds experienced a higher incidence of only one. Purebreds and mixed breeds scored equally on 54% of the genetic disorders. So what does that all mean for you? According to Dr. Creasey, “On a general level, I would say a mixed breed would probably be less prone to genetic health problems.” This is largely due to the fact that we can assume a mixed breed dog comes from a larger gene pool. That said, the risk of some genetic disorders can be mitigated by ethical breeders, who screen their breeder dogs and the resulting puppies for genetic disease, and avoid breeding dogs who show evidence of any disorders. Unfortunately, though, “some purebred dogs will be prone to many health issues despite selective breeding–or possibly because of selective breeding. Traits that make a breed more desirable because they are ‘cute’ or amusing can have disastrous health consequences,” Dr. Creasey explains. For example, compact noses like those of pugs or bulldogs can cause breathing issues, and longer backs in dachshunds can cause back problems. , a shelter in the United Kingdom, has seen a significant increase in the number of “designer breeds” coming into their organization, possibly being given up due to their medical issues. An unfortunate element of purchasing a purebred dog from a breeder, is that all too often, breeding favors the traits that humans find the most desirable, many times at the cost of what is actually best for the dogs’ welfare. If you opt for a purebred dog, be sure to check with any potential breeder about their screening practices, and realize that even the most thorough screening may not be foolproof. One advantage of a purebred dog is the ability to predict the likely size, hair type, potential health issues, energy level, and temperament of your dog based on common breed characteristics. Perhaps you would prefer a dog that doesn’t shed, or a dog known for stamina, for example. “Ideally, one of the benefits of selecting a purebred dog is being able to select the qualities you desire in a pet. Good breeders will select for dogs with both the looks and the temperament that their breed is known to have,” Dr. Creasey explains. While you enjoy less predictability with a mixed-breed dog, Dr. Creasey reminds us that there is “an unlimited supply and array to choose from.” The only disadvantage you may experience is the unknown. How big will your puppy get? What health issues might he be prone to? What activity level will he require? Despite the risk of the unknown, you can predict some traits if you are aware of what breeds comprise your dog’s heritage. 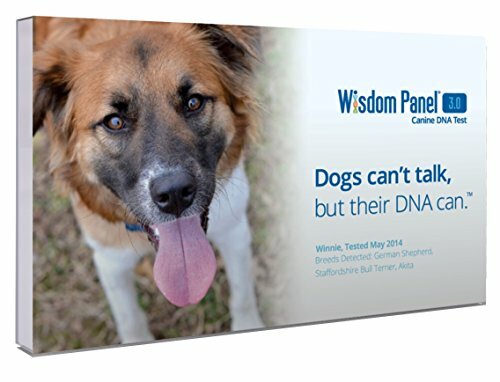 However, even knowing the breeds involved is not a guarantee of a certain temperament, hair type, energy level, etc., as even if you know the breeds involved, you are unlikely to know the ratio or influence of each breed–though some canine DNA tests can give you a good idea. One benefit of a purebred that you might not experience with a mixed breed, is that purebreds often come with a built-in community. Many dog parents keep in touch with their dog’s breeder, and most breeders will usually take the dog back in case of a move, a divorce, or if the dog is simply not working out for any reason. In addition, friendships often form between people with the same kind of dog. There is considerable debate in the dog world concerning whether or not breeding is ethical and necessary, given the number of homeless dogs awaiting forever homes in animal shelters. Some people feel a strong responsibility to adopt a likely mixed-breed dog to spare him and others from euthanasia, while others believe that without breeders, shelters alone would be unable to meet our demand for dogs. In the former view, there are not enough homes for the millions of homeless dogs in the country. In the latter view, there are not enough dogs for all the households that want one. In the United States, a little less than half (47%) of dogs are purebred. Some people opt for purebreds because they like the idea of helping preserve the legacy of a particular breed, especially if it is dwindling in numbers or popularity. Others, however, advocate for mixed breeds, as they don’t want to contribute to the potential of an over-breeding problem. In addition, people who prefer mixed breeds see pedigree as having been created by humans and their preferences and breeding practices, not nature, anyway. Overall, many studies find that purebreds are calmer and more sociable than their mixed-breed counterparts, who seem to be more likely to jump on people, pull on their leashes, etc. It is unclear, however, whether this gap in behavior and sociability is a result of the fact that people with purebreds are more likely to train their dogs than those who own mixed breeds, or of the actual genetics themselves. It is likely that a mixed-breed dog could prove just as well-behaved and sociable as a purebred if given the same training. The question of training is pertinent, because, as explained above, studies reveal purebred dogs tend to behave better than mixed-breed dogs. However, studies have also found that both purebred and mixed-breed dogs are equally trainable, implying that the difference in their behavior is not so much the result of breed as it is of background. Do I plan on at least basic training for my dog? Am I prepared to pay medical bills for breed-specific or other health issues? Am I prepared to deal with allergies, which are more common among purebred dogs? Do I need a predictable companion and thus a purebred dog? Do I value legacy or the idea of breed preservation? Am I considered with saving a dog from shelter life or possible euthanasia? Am I concerned with the concept of overbreeding? Your answers to these questions can help you determine whether a purebred or mixed-breed dog might best align with your lifestyle and values.